A DAY OF FUN AND DISCOVERY! Planning a birthday party at the Museum of Discovery and Science is a piece of cake. Just say the word and we’ll put the wheels in motion for a birthday party that your special boy or girl will always remember. Our Museum birthday parties are offered for children ages 3-12. Choose from exciting themed programs that include age appropriate science activities, Museum exhibits exploration, free birthday cake, pizza and beverages, party favors and much, much more. 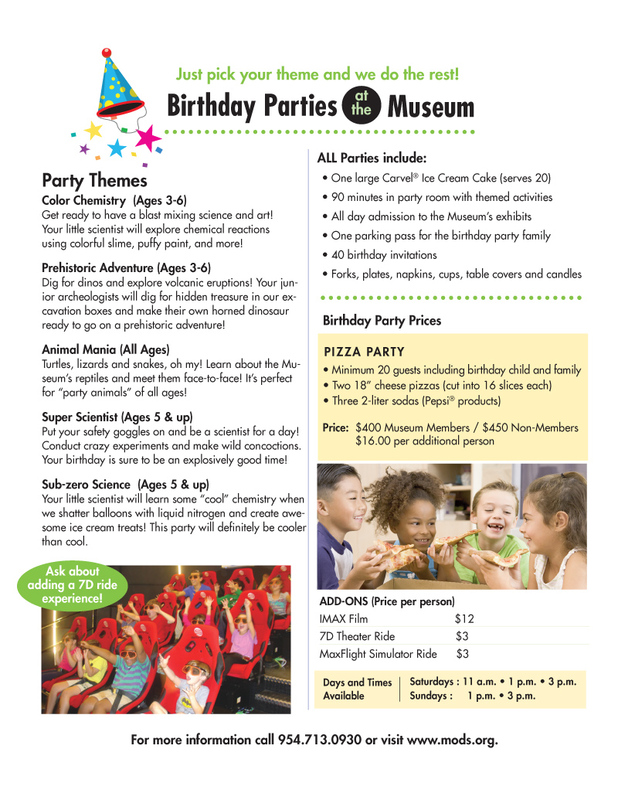 Ask our reservation agent how you can give your child an unforgettable Museum birthday party. Note: There is no reduction in fees if you choose to bring your own beverages and food. See FAQs for more information. 20 guests including birthday child and family. Food and beverages for 20 people. Carvel Ice Cream Cake that serves 20. Additional guest participation fee is $16.00. Extra charge for additional food and cake. 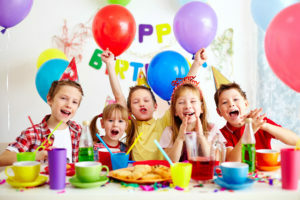 Click here for birthday party FAQs. To book a birthday party, please call 954.713.0930.